Obituary – Hussey, Lavina Jane (Swart) « Perry High School Alumni Association, Inc.
﻿Band ’45-’49; Band Vice-President ’48-’49; Annual Staff ’46-’49; Annual Editor ’48-’49; Assistant Annual Editor ’47-’48; Annual Follies ’47-’49; Annual Queen Attendant ’46-’47; Basketball Queen Attendant ’47-’48; Home Room President ’45-’48; Junior Play ’47-’48; Y-Teens ’47-’48; Teen Town Council ’47-’49; Student Council ’48-’49; Office Staff ’45-’46; National Junior Honor Society ’45-’46; National Junior Honor Society Secretary ’45-’46. Lavina Jane Hussey died Tuesday, November 23, 2004 at her home in Stillwater. Services will be at 1:30 p.m. on Saturday at the First Christian Church in Stillwater. The Rev. M. Rick Hendricks officiating. A visitation reception will immediately follow the service in the church Fellowship Hall. Interment will be at Grace Hill Cemetery in Perry. She was born on March 2, 1931 in Perry to Chester Swart and Lola V. Crockett. She married Henry “Ferg” Hussey on Aug. 28, 1954. They recently celebrated their 50th wedding anniversary. 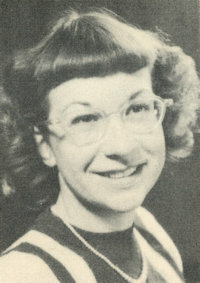 She graduated from Perry High School in 1949 and attended Hill’s Business University. She started college on a part-time basis at age 35 and graduated 15 years later from Central State University with a degree in accounting. She became a Certified Public Accountant and after that, was certified as a Financial Planner. She worked as a staff accountant for several accounting firms; was a business manager at a real estate firm; and ended her career in the trust tax department of a large bank in Oklahoma City. She and her family lived in Oklahoma City for 40 years. She retired in 1994 and moved to Stillwater. She was a member of the First Christian Church, Oklahoma Society of CPAs, Stillwater Country Club’s Women’s Golf Association and a volunteer at Judith Karman Hospice. She was an avid golfer, loved reading, traveling, sewing and being with family and friends. She was preceded in death by her parents; three brothers; and one sister. She is survived by her husband, of the home; one daughter, one son, four grandchildren and one great-grandchild. She is also survived by one brother-in-law, two sisters-in-law, several nieces and nephews; and many more dear friends.